Core apples and slice each into 8 wedges. In a large non-stick saucepan over a low heat, melt butter and sugar. Add the apples and cinnamon and stir until well coated. Fry for 3 minutes on each side or until golden brown. Add a tablespoon of boiling water to deglaze the pan. 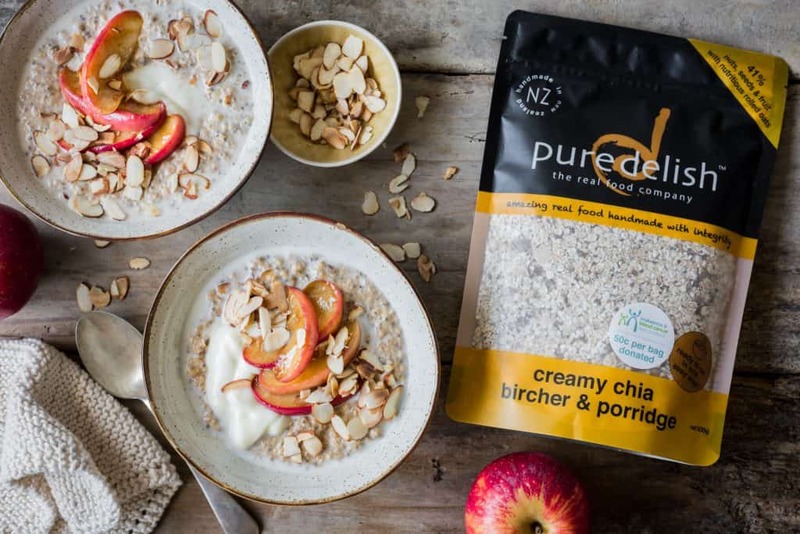 In another large pot over a low heat, cook the creamy chia bircher & porridge with milk. Stir until porridge has thickened. Divide porridge between 4 bowls. Top with custard, spiced apples and toasted almonds.